That is one amazing rainbow, Clueless. How idealic...but then it is Hawaii. Wow. This must have a pot of gold under both ends. 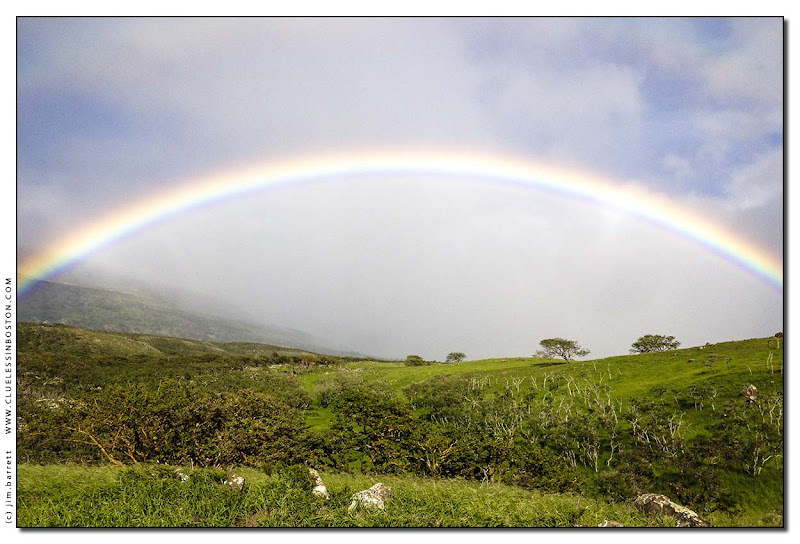 Outstanding image, I'm always delighted by rainbow pictures! wonderful rainbow and sky!!! Gosh it's been years since I have been to Waikiki...I think I need to go back! Happy Friday to you! this could be an inspirational poster. That's a gorgeous full rainbow.